Located at Maple Tree Place in scenic Williston, Vermont, Majestic 10 is Greater Burlington’s top tier theatre with all-stadium seating and complete digital presentation. Our top-of-the-line movie experience features 7.1 Dolby digital surround sound & digital 3D. Join us for discounted matinees, evening shows and select midnight screenings of all the biggest blockbusters. 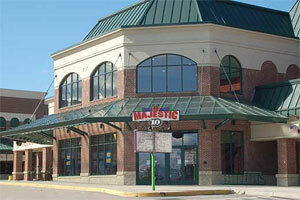 Majestic 10 is open for business for 365 days a year including holidays.